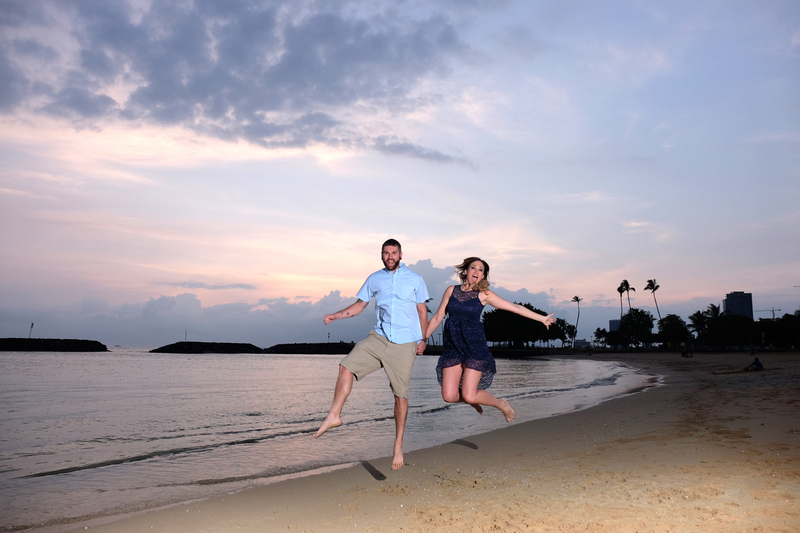 Greg and Holly make use of our Honolulu photography to capture priceless memories of their Anniversary in Hawaii. Sunset photos by Photographer Billy at Magic Island. 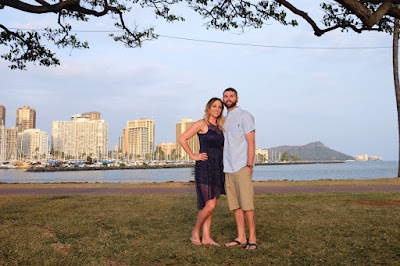 My husband & I used Bridal Dream Hawaii to capture photos from our anniversary trip. 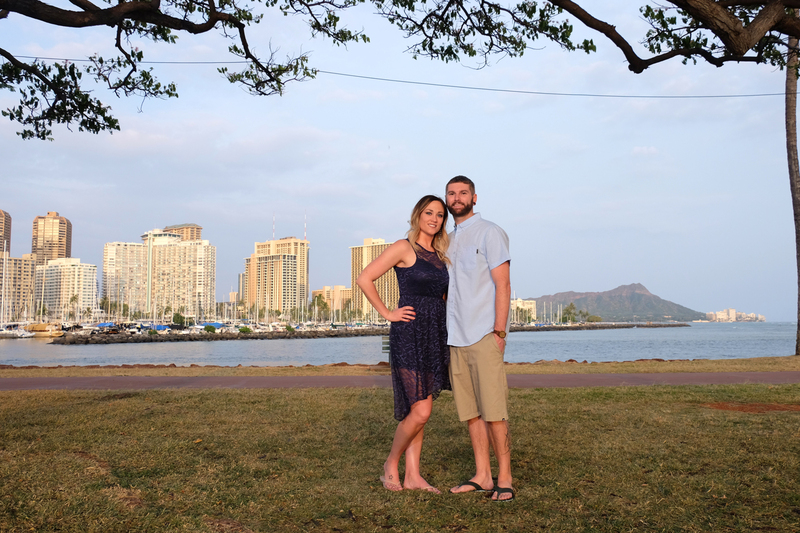 We had our pictures taken at Magic Island- so we were able to get both the city views and the beach. Billy was our photographer & he was excellent!! He knew what we were looking for & captured exactly that! All of the pictures are absolutely beautiful- and we got them all back within 2 days! So fast! Great communication from Robert, easy to book, fantastic customer service, and a great value for the area! 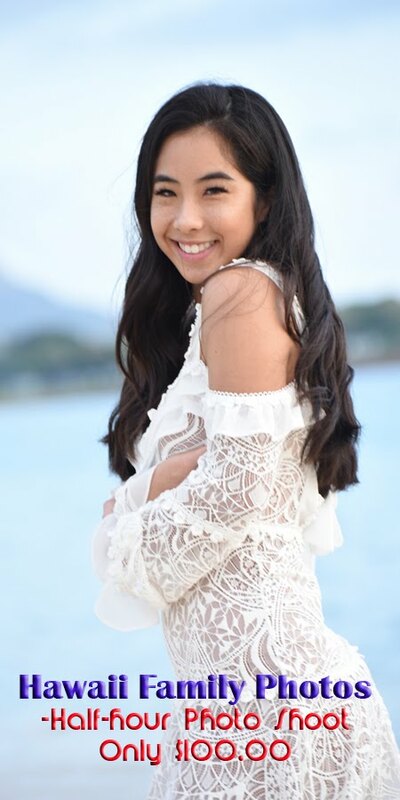 I definitely recommend them for your photography needs!